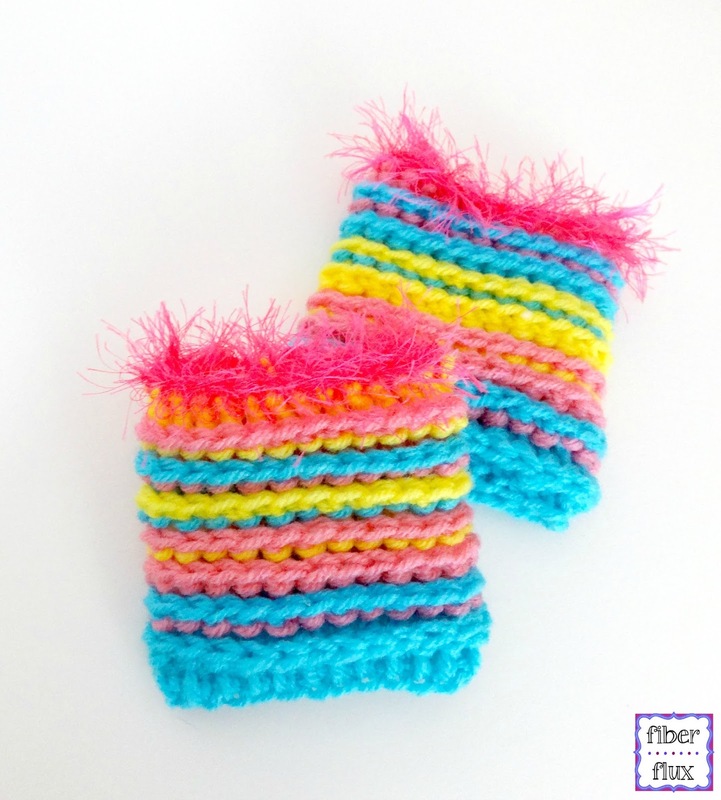 Fiber Flux: Free Crochet Pattern...Candy Coated Boot Cuffs! 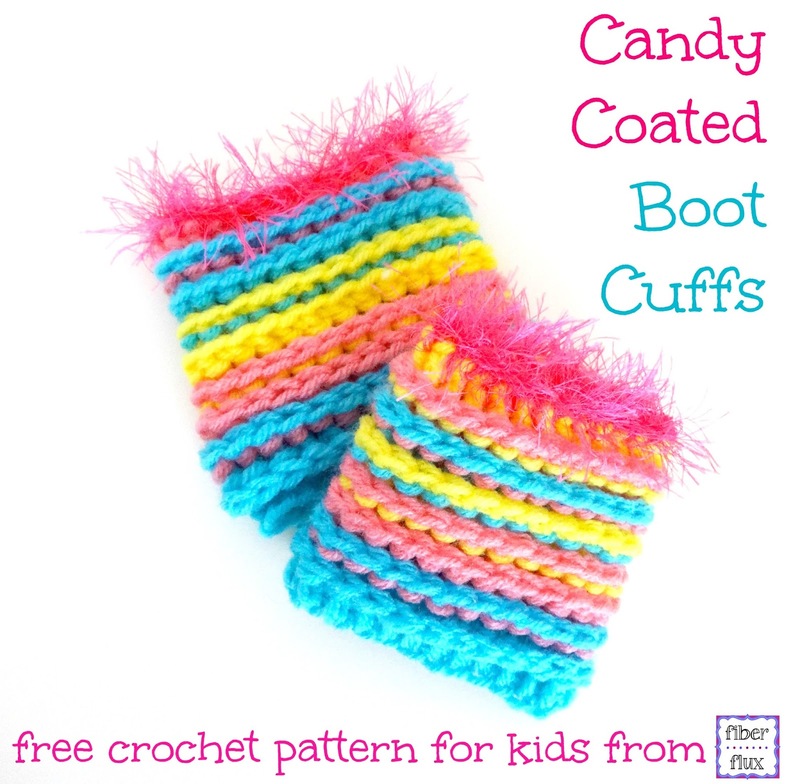 Free Crochet Pattern...Candy Coated Boot Cuffs! 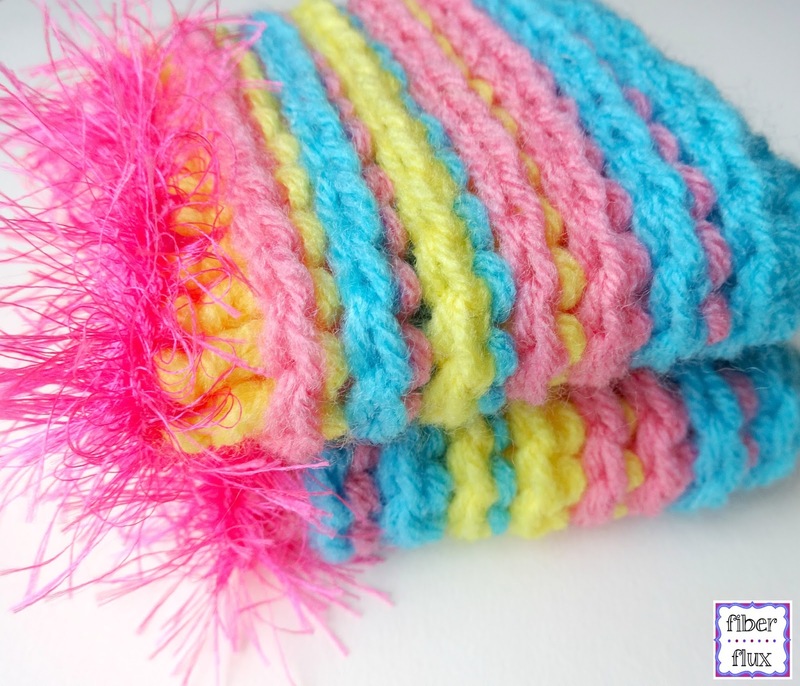 This super fun pattern is just for kids! 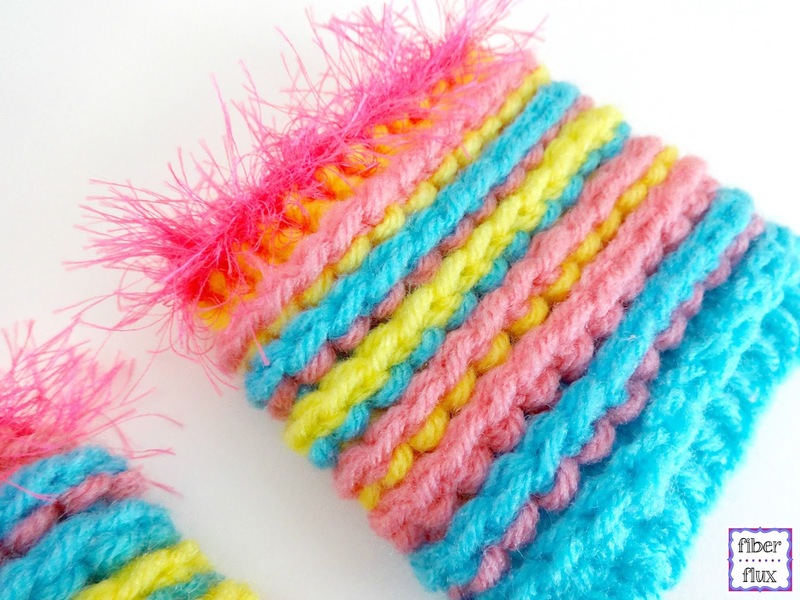 The Candy Coated Boot Cuffs are all about bold, bright, and sassy color. Slip them on with boots to keep chilly rain, snow, and wind out and keep those kids toasty. 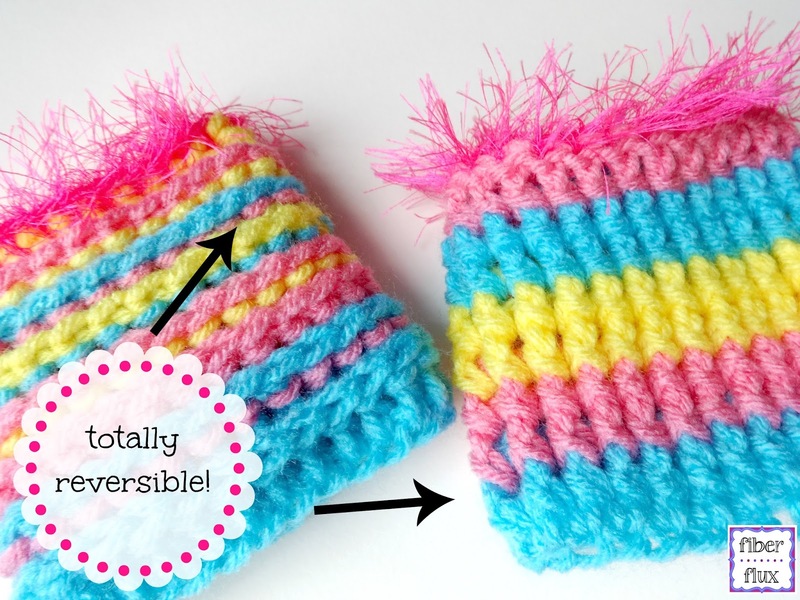 The bold colors and neon fuzzy trim will be sure to chase away those gray days...be sure to check the photo right below, they're totally reversible! Boot cuffs in photo are 4 inches tall and have a circumference of 9 inches. However be sure to measure first for a custom fit. Join with a sl st in the furthest ch from hook. Round 1: Ch 2 and dc in each ch around. Join with a sl st to close round. Round 2: Ch 2, work a bpdc (back post double crochet) in each dc around. Join with a sl st to close round. Repeat round 2 until boot cuff measures 4 inches tall or desired height. Fasten off. Edging Round: Tie eyelash yarn into one of the stitches. Ch 1 and then work a sc in each st around. Join to close round with a st st and fasten off. Omigoodness! Those look delicious!!! I love the colors and how they look great whichever side is facing outward!